Terrifying Tales Set on the Scariest Night of the Year! Twenty-six terrifying tales set on the scariest night of the year! Treat yourself to some very tricky stories! Halloween . . . All Hallows’ Eve . . . Samhain . . . Día de los Muertos . . . the Day the Dead Come Back . . . When the barriers between the worlds are at their weakest—when ghosts, goblins, and grisly things can cross over into our dimension—then for a single night each year the natural becomes the supernatural, the normal becomes the paranormal, and nobody is safe from their most intimate and terrifying fears. 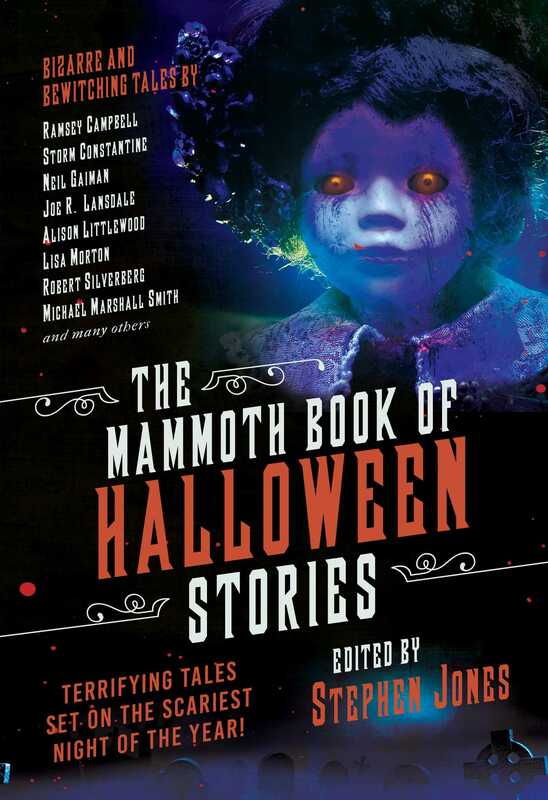 The Mammoth Book of Halloween Stories brings you a dark feast of frightening fiction by some of the most successful and respected horror writers working today, including Ramsey Campbell, Neil Gaiman, Joe R. Lansdale, Helen Marshall, Richard Christian Matheson, Robert Shearman, Robert Silverberg, Angela Slatter, Steve Rasnic Tem, and many more, along with a very special contribution by award-winning poet Jane Yolen. Here you will encounter witches, ghosts, monsters, psychos, demonic nuns, and even Death himself in this spooky selection of stories set on the night when evil walks the earth . . .